Need an SUV Friendly RV? Take a Look at The Flagstaff Micro-Lite Travel Trailer! When looking for a compact, lightweight, but still quality RV, there is no need to look any further than the Flagstaff Micro-Lite travel trailer from Forest River. Having a lightweight camper like the Micro-Lite will allow you to tow with a much smaller vehicle and make getting to your destinations easier. Stop by to see the SUV friendly Forest River Flagstaff Micro-Lite Travel Trailer! Many people find driving an SUV to be much more comfortable as well as simpler to maneuver than a large truck, and the Flagstaff travel trailer is light enough for this size of vehicle. One of the best features of having a lighter camper is the savings on gas mileage you will get! 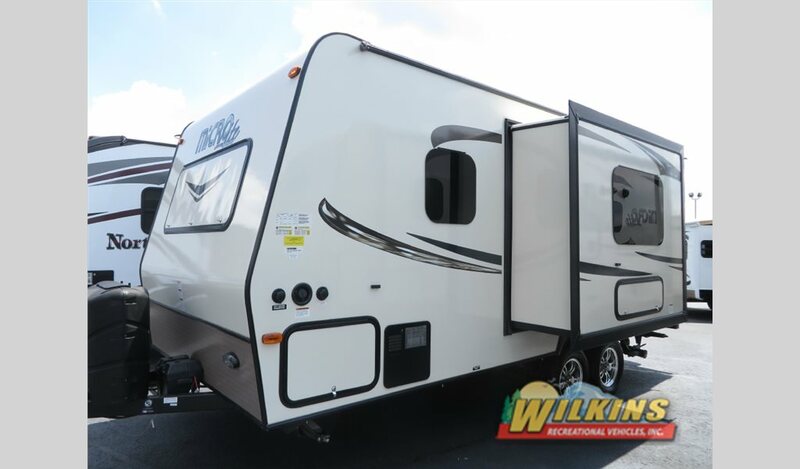 The innovative design of the Micro-Lite travel trailer keeps this RV small and easy to pull without sacrificing any of the amenities that you will want while on vacation. With thirteen different floorplans, you can decide layouts and number of slideouts in order to make it fit your exact needs. For example, each floorplan will have unique sleeping options that you can pick. If you are traveling with just your significant other, then you can have a queen sized master bedroom area. What if you have children that you are bringing along? 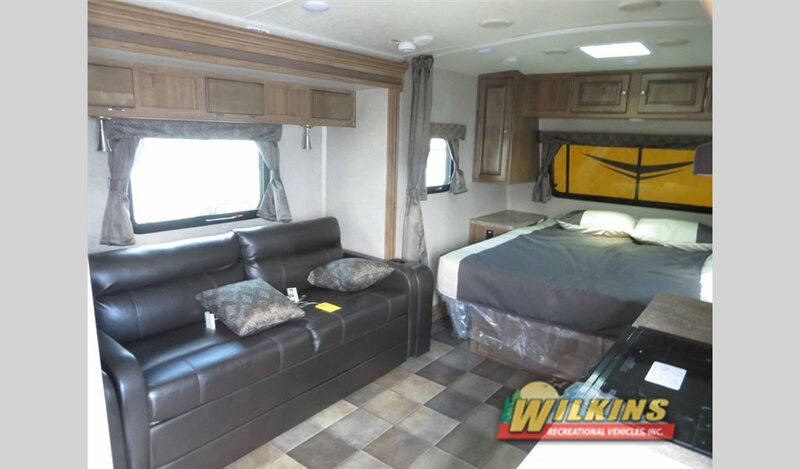 You can find models with bunk beds, fold-out sofas, and dinette sets to create ample space for everyone. Even though this camper comes in a lighter weight package, it still offers top of the line protection and insulation. With R-7 side wall, R-12 floor, and R-14 ceiling insulation, you will be able to stay cool in the warm months and stay warm in the cold months. Plus, the fully laminated aluminum frame and laminated fiberglass walls will add stability and safety without adding excess weight. The SUV friendly Flagstaff Micro-Lite from Forest River makes taking your family on RVing trips easier and more comfortable. Be sure to contact us to find out everything about these amazing vehicles! Or you can stop by our location, so we can show you inside any of the incredible motorhomes, fifth wheels, and more that we have available.